Women aren’t the only ones who are affected by stretch marks. Just about anyone can develop this embarrassing problem. At Serrão Rejuvenation Center, Dr. John Serrão offers stretch mark removal for women in Orlando, Winter Park, and the surrounding areas of Florida. Dr. Serrão is a board certified gynecologist and post-graduate trained cosmetic surgeon. Under normal conditions, your skin is an amazing organ that can withstand stretching, pulling, and tugging without a sign of wear and tear. But skin is not invincible. When the skin is stretched suddenly or beyond a certain point, a type of scar develops, known as a “stretch mark.” The flaw on the skin indicates that collagen production in the area was damaged, and the result is a distinct scar that has a pattern of elongated, parallel lines. Stretch marks can be thin or very wide depending on how the skin was damaged. Not all stretch marks are the same, so we offer several treatment options for our patients. We find that having multiple technologies to treat stretch marks improves patient satisfaction with the results. Dr. Serrão is skilled in all our stretch mark treatments, and he can determine which procedure will best reduce your stretch marks. 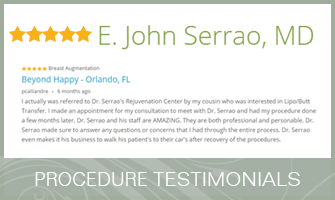 At Serrão Rejuvenation Center, Dr. John Serrão offers stretch mark removal for women in Orlando, Winter Park, and the surrounding areas of Florida. 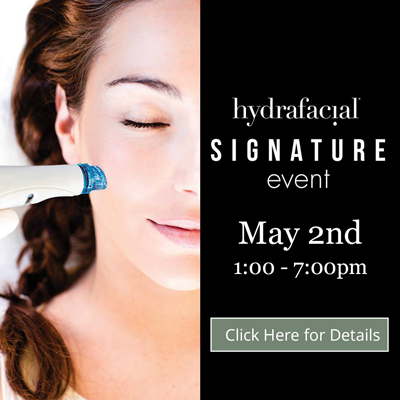 To learn more, contact us to schedule a consultation and begin your rejuvenation today with Dr. Serrão, a board certified gynecologist and post-graduate trained cosmetic surgeon. Stretch marks are distinct in appearance. They may be light gray, pink, or purple, and they feel indented when touched. Some patients experience tenderness and itching in relation to stretch marks. Stretch marks most often develop during pregnancy or while being overweight, but just about any situation that stretches the skin can result in this type of scar. Stretch mark removal aims to camouflage the scars so that they are less visible. How is Stretch Mark Removal Performed? This may be done by resurfacing the skin of the stretch mark. We also use microneedling to stimulate collagen production, and this evens out the skin of the stretch mark. Patients may need a series of treatments, and full results can take six to 12 months. How Long is the Recovery from Stretch Mark Removal? You have little to no recovery after stretch mark removal treatments. The skin may have a slightly pink or red appearance after the procedure, and you can use make-up to blend the area with your other skin. Over time, you see a gradual improvement in the stretch marks. How Much Does Stretch Mark Removal Cost? We understand that cost is a consideration for many of our patients who want stretch mark removal treatments, so we want to provide the most accurate information possible. Pricing can be discussed after your meet with Dr. Serrão for a consultation and to develop your personalized treatment plan. In the meantime, we encourage you to learn about our financing options.